Comment (Jake Austin): Darwin Ortiz has done it again. 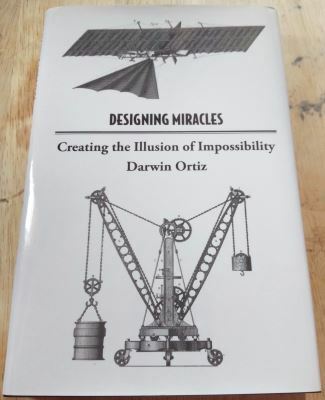 His book Designing Miracles will give you the tools to construct magic tricks that astonish your audience. These tools can also be applied to the tricks you already perform but seem to fall flat when performed. It may not be your fault the audience's reaction is underwhelming! It may be the design of the trick that is the root cause. Learn to identify design flaws in your tricks, fix them, and see your audience's reactions improve.